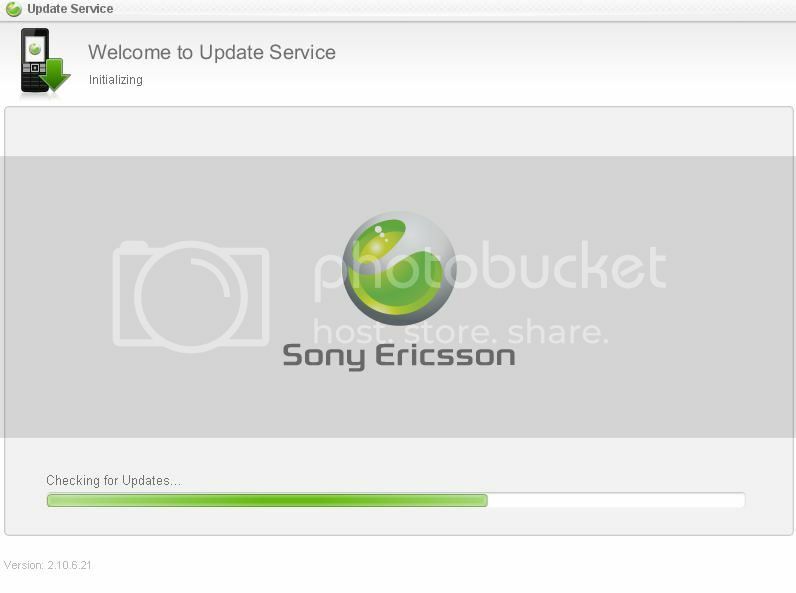 Sony Ericsson has updated its SE Update Service (SEUS) software over the last week to version 2.10.7.15. There’s no way of trying to run the older version as SEUS will automatically update it once started. One of the main changes appears to be a fix that SE has implemented to stop people debranding their handsets. Luckily, there is a workaround. We have updated the Xperia X10 debrand tutorial with the new guide on debranding your handset. For the eagle eyed amongst you, the main change is step 8 in the tutorial. We have also included the latest R2BA023 generic Nordic firmware for you to download. Click through for a screencap of the new firmware. Tried out several times .. its not working ..
tried both in SEUS and SE PC Companion. I exactly follow the debrand tutorial but no luck ..
i cant able to update ..
bit this time its not ..
i exactly Follow Step-8 but no luck . It worked perfectly. I’m currently running on R2BA023 generic Nordic firmware. YES finally work for me. but R2BA23 is now available in OTA. hi am in sweden and i update my x10 t0 R2BA023 today its working great but i notice the playnow app is gone so did i do something wrong or they remove it . Just to tell people on T-Mobile in the UK – I tried the SEUS and no update was shown. However, when I told it to reinstall, a newer update was installed, one including the backup app and also creatouch. You will lose your settings doing this though, so make sure you backup first. And non branded Generic UK it is also out? Did you tried with SEUS or PC Companion? The non Branded Generic has AFAIK been out longer. My update was for the T Mobile version I think. (I think because the only T mobile thing is the booksmarks and alternative internet icon for the webn browser). Thanks for your answer. Yesterday I tried repair my X10i with SEUS, and available is R2BA020 (Generic UK). I’m also with t-mobile uk. I recieved and OTA update and got version R2BA020 and then when I connected my handset to SEUS, It said another update was available so I updated my phone again. After the update, I still had R2BA020 lol. But this time with no PlayNow. It got taken away and neither of the updates gave me CreaTouch. T-mobile have no idea and SE Xperia Call centre are being twats. What to do? @Iglesias – I had lost playnow too, except today it is back somehow. Try reinstalling your phone, or try to get it reinstalled if you can. Worst case, try to reinstall the update from the SEUS (after backing yor stuff up) to see if that brings it back. The other option is that while you are on T-Mobile, your phone has generic firmware (which should generally mean faster updates for you) and my way of getting the update may not work. @ Mez – My phone is on contract. Hi Iglesias. Non branded R2BA023 Generic UK was not released. Really. The latest, in production, is R2BA020. Anyone can provide the link for R2BA023? Instead of copy and paste the firmware try to cut and paste. Windows do not need to create a copy and it just updates its File System which should take 1~5 seconds. I done this and successfully downgraded my phone’s firmware to original firmware and now upgraded to R2BA020 without any problem. Hope this helps for most of the people out there who are not able to get this copy paste working. Personally, when flashing, I move the new firmware files into the root of the ‘13740270’ folder beforehand in prepartion. I then just drag-and-drop each file into the ‘blob_fs’ folder when needed. First the +10MB file and then the +100MB file towards the end of SEUS finishing its downloading. Maybe I’ll add this to the tutorial if it’s clearer or yielding higher success rates? has anyone got the installation files for SE sync? Vodafone X10 owners recieved R2BA024 firmware, OTA today. We were told that PlayNow and Sony Sync would be included on this latest update, but alas, they were not. Apparently, the only way for us to receive these is to update the firmware again, using SEUS. But Seus is telling us that we already have the latest firmware, and the repair option in PC Companion doesn’t seem to be working. Anyone got any ideas on what’s going on? R2BA024? Ok, then I think, that R2BA023 Generic UK have never been release (as R1FB001). got he R2BA024 today. back up and restore is new, plus the fone has ecome superfast and super soft in touch.battery has also become better than ever. new delhi india. Hi everyone, I’m having some doubts with all these firmware coming out. I originaly had a portuguese TMN branded firmware which I hated. I then updated using this method to the more recent R2BA020 Telenor firmware but it’s still full of branded apps, which I want to get rid of, and I’m a little unease about rooting my phone, plus the OTA updates with this firmware seem to be more delayed. I want to update to the R2BA023 nordic firmware, but I wanted to know before I do so, if it has branded apps on it ? If it does, does it at least have fewer branded apps ? Battery timing is improved like hell. Unplugged since 4days 4hours 6m 21s. Voice Call time is 1h 40m 29s. Display on time is 1h 47m 14s. and still battery remaining is 34%. updated to R2BA020 a few days ago via PC Companion. then i saw this article and tried using SEUS and it immediately reset my phone with ‘another’ update. 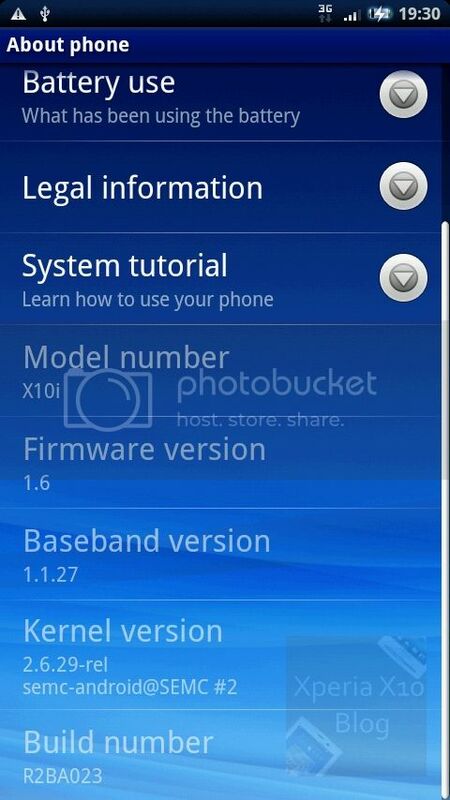 now my phone’s R2BA024 with baseband version 1.1.28. Ever since I did this, and a debrand before, I cannot access GPS satellites for Google Maps. I put in all the correct Rogers info in for their networks but it doesn’t seem to work. Any ideas why? allready have the R2BA024 installed. works great. What network are you on? Voda, 3, Optus or Telstra? Cheers. it will be so big help to me! Apfter the update, about an hour has passed and all my X10*s screen shows is “SonyEricsson” on black backgroud. How long can I expect this to show before it starts up? I updated my SE Xperia X10i thru SEUS … aft tht was complete i plugged into the pc suite n it had another update available … i did tht, next thing my fone isnt starting … wen i switch it on “Sony Ericsson” appears and aft bout 30 secs a fone appears on a black background with a warning sign (an ! mark ) in a yellow triangle. The fone is then just stuck on this, i read up on it, its known as BRICKED. It really feels like a brick wall cause i cnt seem to get it to start. Does any1 know hw to fix this … Pls Help !!! @z – Have you tried the Troubleshooting Tips in the Debrand Tutorial? I did this … still no luck !!! Delete the ‘13740270’ folder at the following location: C:\Program Files\Sony Ericsson\Update Service\db\13740270. r2ba020 is the std unbranded SE firmware, r2ba021to r2ba025 are network augmented ones, although there is a generic firmware release r2ba026 now available in the uk. Have just upgraded to RBA023 using SEUS (big upgrade – 141 meg) an and from 023 to 026 OTA (I have an unlocked unbranded phone purchased in Bahrain). The performance improvement on the upgrade to 023 was spectacular, and surprisingly enough, there is a noticeable improvement between 023 and 026 even though there are no visible changes. While it would certainly be nice to see a 2.x Android release, the performance and responsiveness of the new 1.6 releases go along way to addressing my gripes with the device. Browse to C:\Program Files\Sony Ericsson\Update Service\db\13740270\blob_fs and create a bat file there. What will it do is it will rename the freshly downloaded file to a FILE_BACK, and the GENERIC file will have the downloaded name. I’ve found that instant renaming of the files works better on a slower laptop, than copying the files. hi, im from malaysia. the update firmware can use in my country ? Can I pick someone’s brain. I have a X10 Mini on 2.1 branded to the 3 network (UK). I want it branded to O2 (UK). My mother-in-law has an X10 Mini already branded O2 (UK), can I use hers to re/change brands on mine? Could I back up hers and restore to mine? Or do I need to take the firmware off it somehow? Any ideas? Where can you download SEUS from? I can’t find a single working link! I also tried using the PC companion method but that doesn’t work either. I have a X10a from AT&T running 2.1 and my computer is running Windows 7 Ultimate, how can I get this phone debranded? am using versin 2.0 on my x10 mini pro. am asking that is there other updates available because everytime i receive notifications that there is a new software available and when i try to update, it denied n i try connecting on my PC still i cnt find the update, so what must i do?